Every year I get so excited about the first day of spring. I don't know why; this year it snowed for the first two days so it certainly doesn't guarantee winter is over. I think it's the hope of having nice, warm, weather that just gets me excited. I know that the end of winter must be near. It just has to end soon! I look forward to days of sunshine, fresh air, picnics, and park days. I enjoy thinking about all the fun stuff we can do once it's warmed up and we don't have to wade through a foot or two of snow. 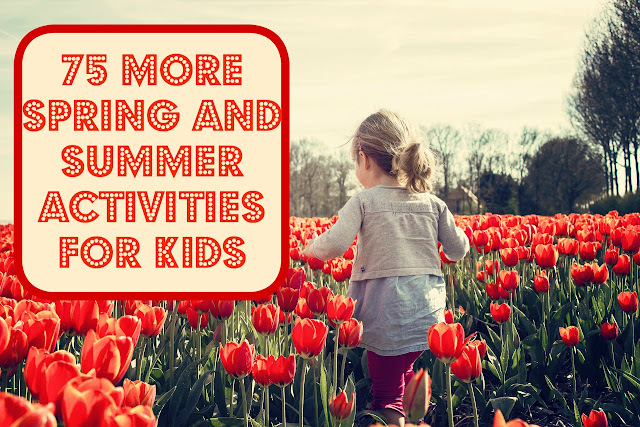 It's been almost 2 years since I wrote the post 50 Things to do This Spring and Summer. Some of the places have closed, others my boys have outgrown, and some are just getting boring for us so I decided it was time to try and brainstorm another list. After the LOOONNNGGG cold winter we've had I just want to sit outside in the sun and soak up the warmth, vitamin D and relish the feeling of not freezing. We've got some major spring fever going on here and I'm ready to encourage the boys to ditch the books and just enjoy being outside. 49. Water balloon games; math splash, sight word target practice, etc. 60. Canobie Lake Park or try a new Amusement park out. There was a traveling Eric Carle exhibit that passed through our children's museum and it was pretty spectacular...a whole museum? I would love to visit! I love Eric Carle's artwork and I have heard wonderful things about his museum; there's supposed to be a place for kids to paint and create too! I just wish we had made it there when my kids were younger. As much as I know I'd love it I'm just not sure they would. But I figure it's worth a try! I am so anxious because while it was only 40 here today it is supposed to be 70 by mid week and I CAN NOT wait to pull out my flip flops! And yes, there is an Eric Carle Museum; it's a good 2 hour drive or so from our house but I'm betting it will be worth it. His art work is wonderful. Thank you, that's so sweet. It took me a good year to work up the courage to homeschool and even then I spent another whole year wondering if I could really do it! Lots of good ideas. 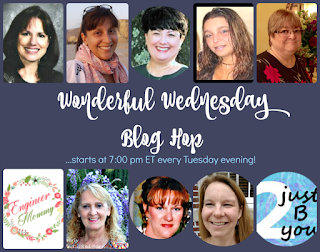 Thank you for sharing this post at the #WednesdayAIMLinkParty. I shared it on social media. Letterboxing is a lot like geocaching; you are given coordinates or clue to follow to a box hidden in a public park but inside the box is a rubber stamp, an ink pad, and a mini book. Each person letterboxing carries in their own pad and can ink an impression of the stamp they've found. We also tend to carry a stamp and ink pad with us and stamp our image into the book we've found. It's a lot of fun and for my boys more rewarding than geocaching since they actually get to walk away with something new. Such a great post full of fun ideas! It sounds so nice where you live. I wish we could actually be outside for our summer! Soon we will start our over 4 months of 100 degree weather. Ugg. Thanks for linking up at the Friday at the Fire Station link-up! I guess that balances out the last four months we've been stuck inside with freezing temps, snow, ice, etc. We're still only getting outside once or twice a week even with winter coats... I can not wait to spring weather! :) That's why I always have such a loong bucket list of things to do. These ideas sound great, I'll be trying a few with my kids.